Sometimes you wake up on a Monday and THIS has happened. 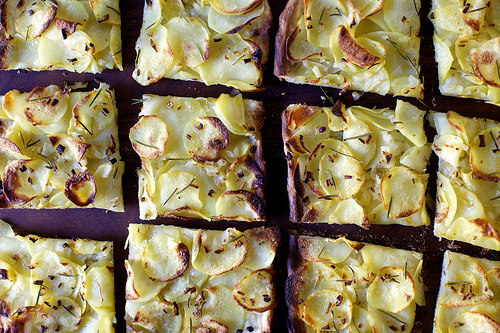 The header on the Smitten Kitchen blog post is Potato Piza, Even Better. That's like saying, Puppies serving you chocolate cake in your Paris apartment, Even Better. Check out the recipe and more photos HERE.